Your windshield not only protects you from external elements while driving, but it also provides structural support to the vehicle. It needs to be sturdy and free from defects that may compromise the safety of the passengers. Minor damages like tiny pits or chips can be repaired, but large spiderweb cracks require windshield replacement. Here are other signs that indicate it’s time for a new windshield. Windshield damage may compromise your ability to drive if it is directly within your line of sight. Mistaking a chip for another vehicle, for instance, may cause you to swerve suddenly, which could result in a collision. If your car is up for a renewal of its safety inspection, you need to make sure there are no noticeable signs of damage to ensure it will pass. 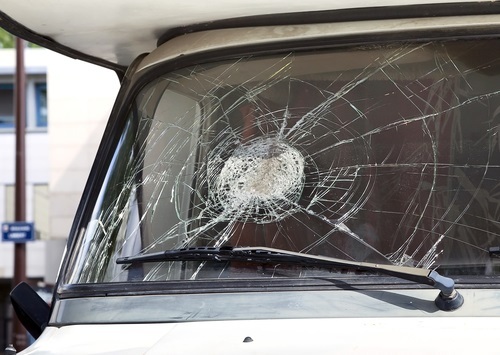 If there are numerous chips and cracks, it might be wiser to get a windshield replacement. Tiny cracks, chips, or scratches can be repaired as long as you address them immediately. But as a general rule, if the damage exceeds an inch in diameter, it’s best to have the windshield replaced. Flying debris like road salt, gravel, and tiny rocks cause pitting on the surface. These small pits scatter reflected light on the windshield, reducing your visibility while driving. This is especially evident when the sun is sitting low on the horizon or at night when headlights are on. Most windshields are treated with a thin layer of plastic called polyvinyl butyral (PVB), which keeps the auto glass from shattering into shards during a high-impact collision. A white haze around the edges means that the PVB is starting to come off the glass and can compromise safety. Neglecting to replace your missing windshield weakens the structural support to the vehicle’s frame. This can eventually result in sagging or glass alignment issues. Loss of windshield parts also means that the entire glass pane is prone to breakage. Unlike external cracks and chips, damage from an impact inside the vehicle cannot be repaired. Run your fingers along the glass from the inside to feel for any raised edges or cracks. If you notice any, have your windshield replaced. Whether you need windshield replacement or repair, you can trust the specialists at Hilltop Auto Glass in Apollo, PA. In business for more than 35 years, they provide reliable auto glass service in the Apollo, Kittanning, and Natrona Heights areas. Call (724) 567-7441 to get an estimate, or visit them online to learn more about the services they offer. You can also find the staff on Facebook.